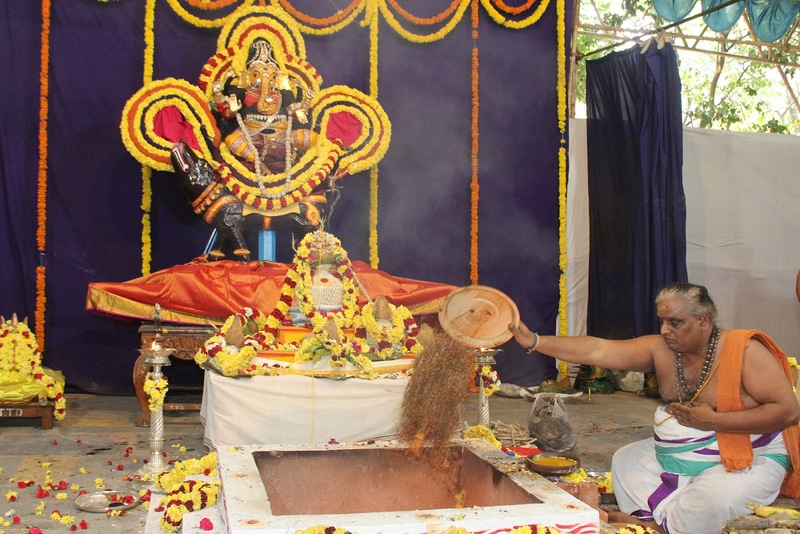 Tirupati, 10 November 2018: The three day long Sri Ganapathi Homam underway at Sri Kapileswara Swamy Temple as part of Vishesha Homa Mahotsavams during holy Karthika month concluded today. 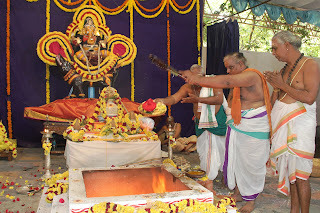 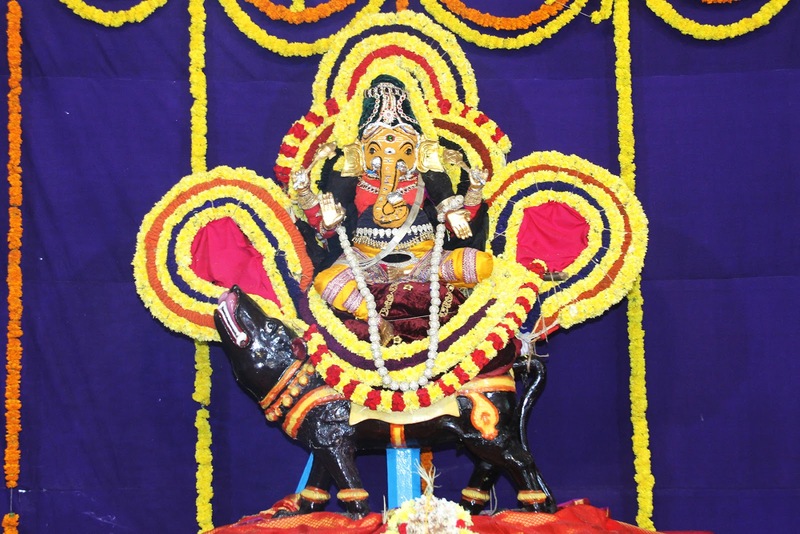 Special rituals were performed at the Yagashala where the idol of Sri Vinayaka was richly decorated and brunda Puja, Japan, Ganapathi Homam and Laghu Purnahuti, Ganapathi mshasrarchana, nivedana and Harati were preformed. Interested couple could participate with a ticket of ₹500 for which they will beget one uttariyam, one blouse and Anna Prasadam and get divine blessings against all obstacles in life. 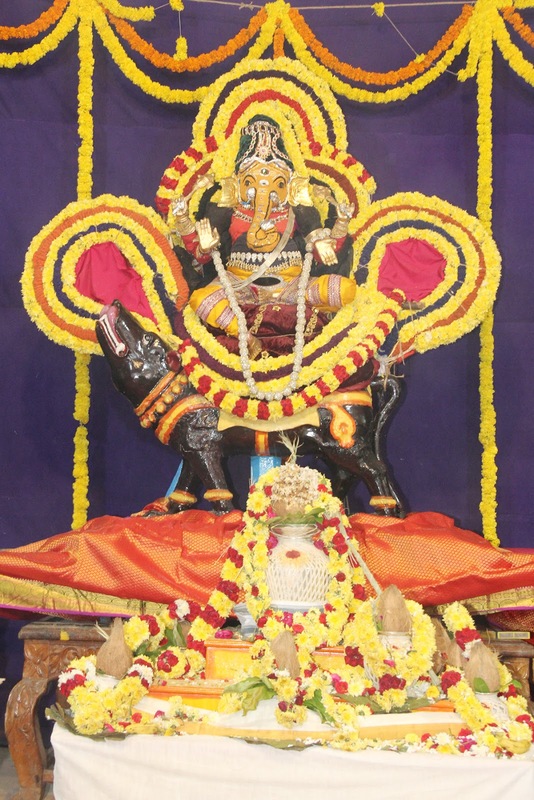 Similarly a three-day Sri Subramanyam swami will be grandly performed from November 11 to 13. 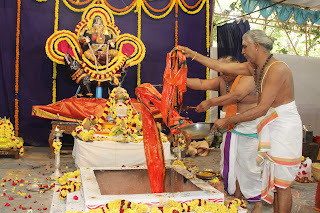 Subramanyam, temple priests and officials participated in the event.